In addition, we specialise in the teachings of the Jonang tradition which includes the Zhentong Madhyamaka view and the Kalachakra Six Yoga practice. It is rare to encounter either of these doctrines outside of Tibet itself, and both are said to play an important role in the future of Buddhism and world peace. In the Tibetan Buddhist tradition, there is a particular emphasis on the importance of an authentic spiritual lineage. 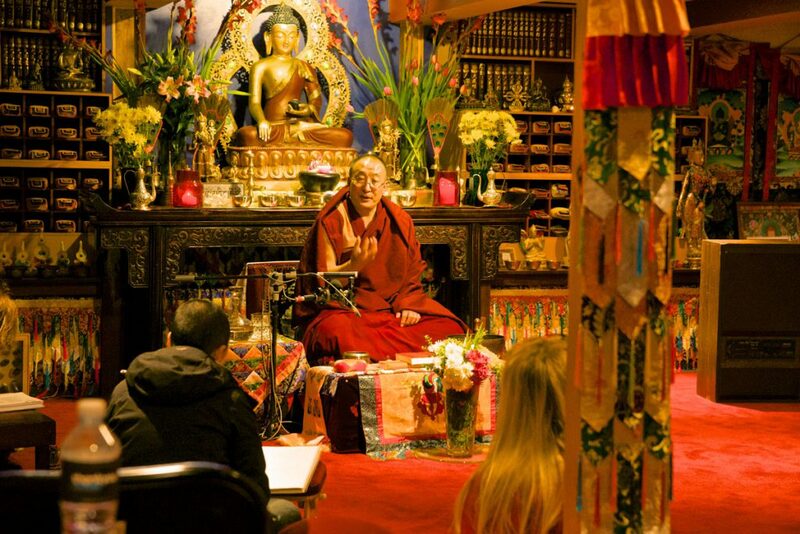 The aims of the Rimé Institute are very closely connected to the aspirations of Rinpoche’s root teacher, the great Lama Lobsang Trinley, who was one of the most exceptional and highly realised Buddhist masters of the last generation. It was his wish that the pure Kalachakra Tantra and the precious Amitabha Sutra teachings from his lineage be spread to the West. Read the biography of our Spiritual Director, Shar Khentrul Rinpoché Jamphel Lodrö. Learn about Rinpoché’s non-sectarian approach to spirituality.